It’s that time of year again! Preparations are already underway for Jose Gaspar’s annual invasion of the Bay. Check out our breakdown of all the fun, pirate-approved events coming up! 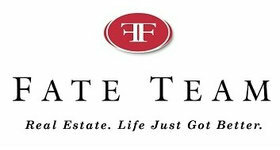 Hyde Park Village is hosting a family-friendly block party this Saturday! Some of Jose Gaspar’s krewe will be on hand, as well as face painters and balloon artists. Live music and surprise giveaways will round out the event. This is a perfect opportunity for your littlest pirates to get in on the action! And, as always, pirate pups are also welcome. Swing by Downtown Dogs to pick them up a tasty treat. With primo weather predicted, it’s sure to be an awesome time! The official events kick off with the annual Gasparilla Children’s Parade. The alcohol-free event is the perfect place to bring the kids to experience this fantastic local tradition. Introduce your progeny to the joys of catching beads and ogling the floats of Tampa’s diverse band of Pirate Krewes! Street food stands and wandering vendors will also be on hand to curb appetites and lighten coin purses. Finish your day off right with the always stellar Piratechnic Fireworks Extravaganza! It’s the main event, folks! The invasion begins at 11:30 am as Jose Gaspar’s ship arrives surrounded by a floatilla of privately owned watercraft. Have a boat of your own? This is the perfect time to descend upon the Bay! The ship docks at approximately 1 PM and Mayor Bob Buckhorn will hand over the Key to the City of Tampa to the Pirate Captain! The nearly 4 mile long Gasparilla Parade of Pirates will take place from 2 to 5:30, beginning on South Bayshore Boulevard and ending Downtown at Ashley and Cass Street. And this is where the real piratesque debauchery happens, so this may not be the best event for the little ones! Drinks will flow and beads will fly! Be there to claim your booty! Not attending this year’s festivities? Be sure to check for local traffic warnings and street closures. With an estimated 300,000 people in attendance, delays and detours will abound! The Sant’ Yago Knight Parade will take place in Ybor along 7th Avenue. The only night parade and the final parade of the Gasparilla season, this event always gets a bit crazy! Don your Pirate best and party the night away! 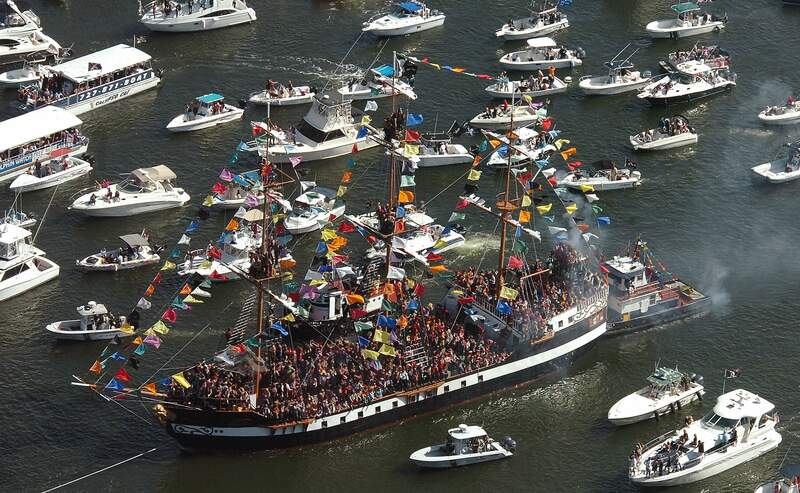 HAVE A SAFE AND BOUNTIFUL GASPARILLA SEASON!